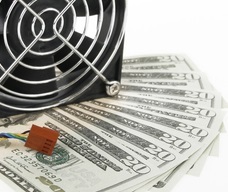 CryptoLocker is one of the newest viruses out there. 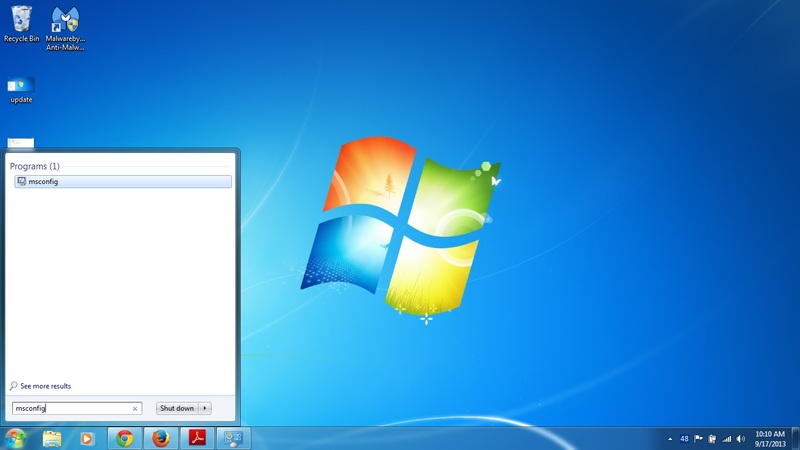 Also known as ‘ransomware’, this targets computers that are running Microsoft Windows. CryptoLocker usually comes in the form of an email attachment, and tends to target Office documents and PDF’s. It will encrypt these files and try to force you to pay money to get them unencrypted. There is only a three-day window of time in which you can pay this ransom for them to give you back your encrypted files. 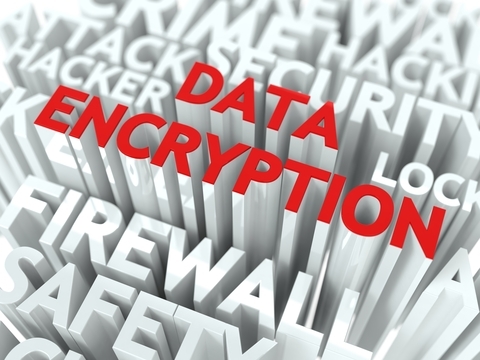 After this time frame has passed, you can no longer pay to have your files unencrypted. Although you can remove CryptoLocker, un-encrypting the files will prove near impossible. The best way to protect yourself against this type of attack is to make sure to regularly back up your data on your computer. If your information is backed up, then you can simply restore your data to a previous state before infection occurred. 3. Choose where to save your data. You can choose from a CD, DVD, external hard drive, USB drive, or a computer on the network. It is NOT recommended that you back up on the same drive Windows is currently running on. 4. 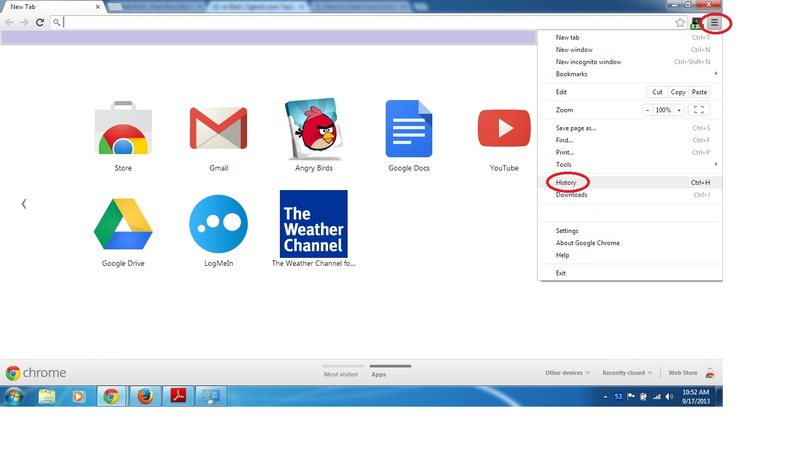 Choose what type of files to backup. Choose from pictures, music, videos, documents, etc. Choose only the file type that are most important to you. Click next. 5. Choose how often you would like to back up (daily, weekly or monthly) and then the day and time for backups to occur. Click the Save and Start Backup button. If this is the first backup you are performing on your computer, it will create a full backup- that is, everything on your computer will be backed-up. All future backups will be incremental, which is just the new or changed files on your computer. Is it possible to have a career in virus removal? 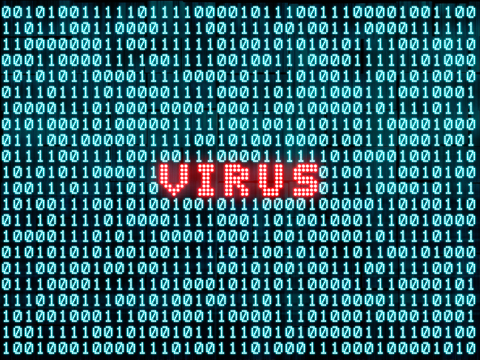 If you have the skills to clean viruses out of computers, the biggest factor is getting your name out there. The best way to do this is by word of mouth. Start with your friends or family members and go from there. If you’re good at what you do, your name will get passed around. If you charge less than what the retail shops are charging, AND make house calls, you should get clients with little to no effort. If you need additional help in getting your name out there and how to reach more people, this course on getting more clients has some great ideas! I would also team it up with basic computer repair. If you don’t have any experience in computer repair I would check out the local technical college in your area and see if you could sign up for an evening class on computer repair. One class will set you back about $350 to $500 but that’s all you need to break into the computer repair field. If you already have experience in repairing and cleaning computers then you just need to focus on getting new clients. I would not recommend quitting your job and doing this but… If you are looking to make some money on the side, you can get into this very easily and try it out in the evenings and see how it works out. Most people would need you to stop by in the evenings when they are home so it works out great if you already have a job. As far as making a career out of it, you would have to keep up a steady stream of clients, and there is no way of knowing from one day to the next how many people would need your services. However, if you’re good at it and you work on getting your name out there and getting new clients, you can easily make plenty of extra play money. Here is another great video walking you through the installation process of Microsoft Security Essentials. 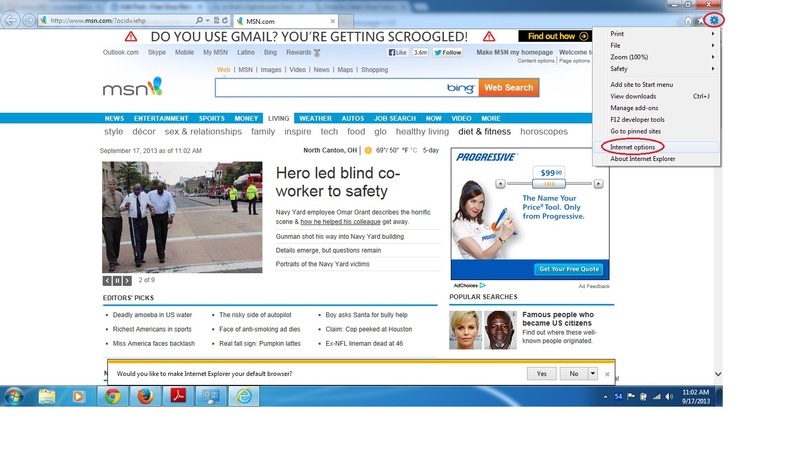 A free program from Microsoft that actively checks your system for viruses. Follow the video for step-by-step instructions on installation. I’m quite sure we have all gotten caught with some sort of malware on our computer system before. I’m sure you have heard of Malwarebytes before, but many people are confused about what Malwarebytes actually is and how it should be used. Here you will get walked though the installation process and explain what it does and more importantly, what is different between the free and the paid-for versions. iOS 7 was the biggest update yet for Apple. I know that I was counting down the minutes until I could do the upgrade, and it’s definitely taking some getting used to. I ran across this article and am so glad I did- had I not, I would be at a loss for half of the functions that are available to use. The more I play around with it, the more I like it. If you want to access the 90 tips (which even if you think you don’t need them, you’ll be glad you looked them over), either click the picture above, or the link below. Here are some simple steps to keep your laptop or PC in tip top shape. Some of these may sound like common sense, but accidents happen all too easily. 1. Keep liquids away from your computer. Common sense, right? Believe me, it’s too easy to accidentally spill your coffee/water/tea on a moments notice. If you can’t keep your liquids away, then at least use a cup with a lid. 2. Allow plenty of airflow. If a computer gets too hot, it can fail to work properly. Too much heat makes for slower running time, and can burn out the computer. If you are using a laptop, it’s recommended that you get a fan mat. This helps to draw out the hot air, especially if you aren’t using the laptop on a flat surface. If you are using a regular desktop, make sure that you have plenty of space around the tower to allow it to ‘breath’ and let the cool air in and hot air out. 3. Clean with compressed air. Never use regular cleaning products or liquids to clean your computer. Using a can of compressed air helps clean all the dust out- which can also help to insulate the heat inside. 4. Don’t eat around your computer. Crumbs from the food can become lodged inside the keyboard keys, becoming an invitation for small bugs and bacteria. In addition, the crumbs can ruin the circuitry. 5. Never lift the laptop by the screen. Always hold it by the base. Trying to carry the laptop by the screen side, can damage not only the screen, but the components inside. This can make for a costly repair. 6. Don’t leave your laptop in your car. Not only is this an invitation for a thief, but cars can experience rapid changes in temperature, damaging the components inside. 7. Don’t stack heavy items on top of the laptop. These can damage the screen, and the inner components. There are many factors that can contribute to the slowness of your computer system. Too many programs, lots of temporary files and cache, missing updates and too many running programs in the background. There are a few simple things that anyone can do to help speed up the system, not just ‘computer techs’. Click the check for updates link on the far left and follow the prompts from there. All important updates should always be installed. 2. Another simple way to help speed up your system is by changing what programs start-up when you boot up your system. If too many programs are trying to start-up all at the same time, it can really bog your system down. To change what programs start running on start-up, go to the start menu and type “msconfig“, without the quotes. If you don’t know what the program is, leave it checked. 3. Uninstall any unused programs. Over the course of the time you have a computer, you install many programs. Some you use on a regular basis, some you may use once and never use again. 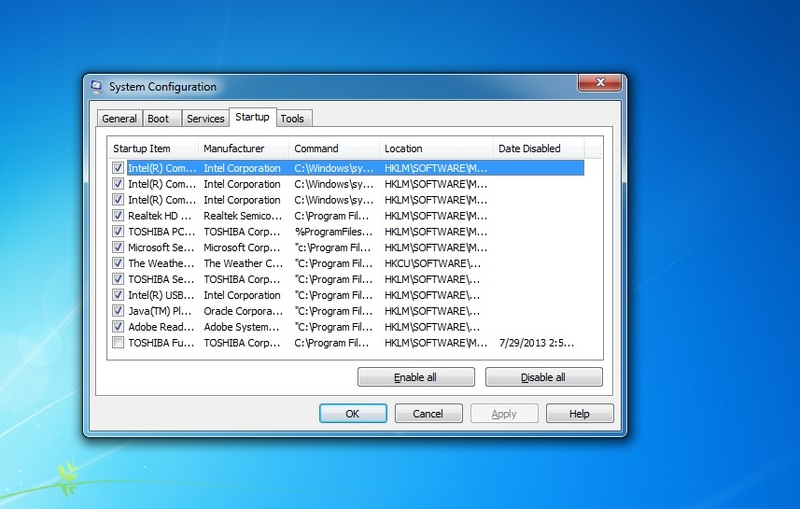 Go to Control Panel, Programs and Uninstall Programs. Uninstall anything you do not use to free up some disk space. 4. Run and update your anti-virus program. There are so many to choose from, but the ones I use are Microsoft Security Essentials and Malwarebytes. Both are free and both do an incredible job of keeping my computer clean and getting rid of something that sneaks in. 5. Get an external hard drive and back up your important stuff: music, pictures, documents. Anything that if your computer were to crash, you wouldn’t want to be without. If they can be stored permanently off your computer, you have just cleared up more space on your computer; if not, at least you have them backed up. 6. Clear your internet data. Every time you search the web, your computer stores tiny bits of information, called the cache, on your computer. Eventually all these tiny bits of information add up, bogging down your system. Make sure to clean the temporary internet history to free up more space. 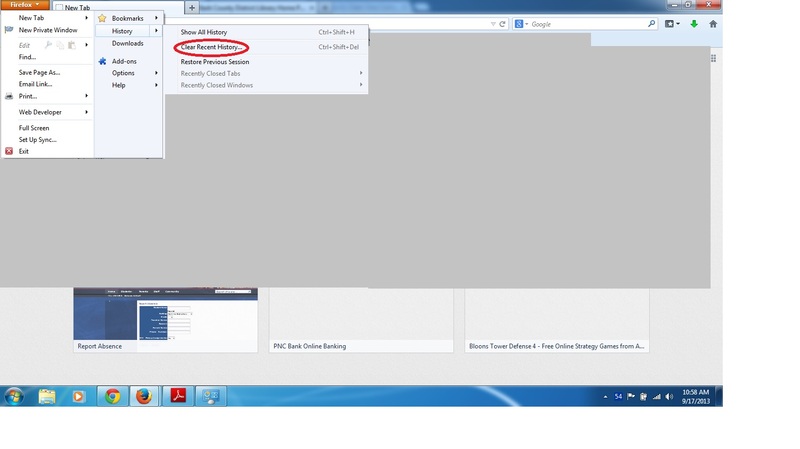 Firefox, go to the menu at top left, history, and clear recent history. 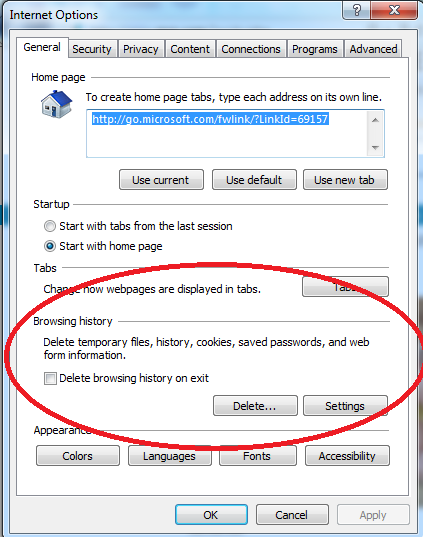 Once you click internet options, go to browsing history, and delete. Making sure that you follow these steps on a regular basis will keep your computer running smoothly. For more tips, and what to do if your computer is already infected with a virus visit our main site. With the new iPhone 5S and 5C getting ready to make it’s debut, there are cybercriminals trying to capitalize on that. People are anxious to get their hands on a new device, and with a phishing email going around, it seems to promise you can- for free! If it sounds to good to be true, it normally is. To read the complete article on the TrendMicro site, complete with screen shots of the emails and sites you will be led to, click here. Are you still running Windows XP on your computer system? 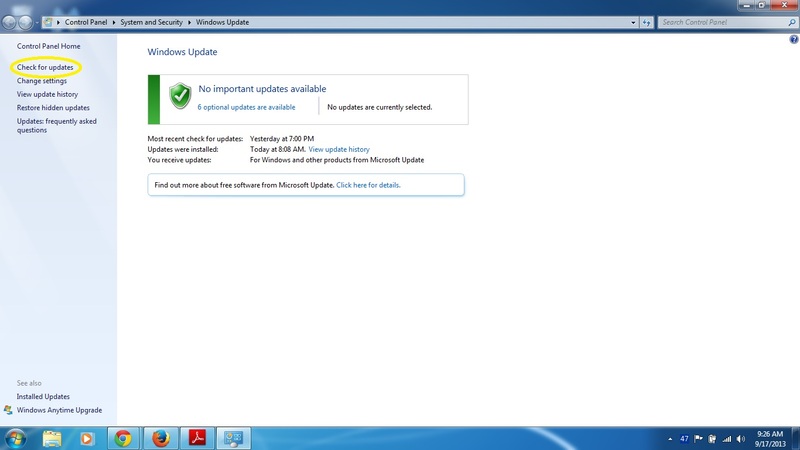 On April 8th, 2014 Microsoft will stop issuing security patch updates. For those working in the healthcare industry, this makes it non-compliant with HIPAA and HITECH. For more on this and what you can do to safeguard yourself, read the full article on TechRepublic here.